Founded back in 1987, Agarwal Movers Group was indeed one of a kind relocation firm that introduced a great deal of a difference in the way people considered moving from one place to another. The group offered inventive and pioneering relocation services that created a benchmark and rolled out a new industry altogether. The makers in the company conceptualized a revolution that created an all new and productive dimension in the market setting up a standard that was followed by several others. As regarded the leaders in the business of packing and moving, we are well-renowned for presenting you with surplus amount of efficient and unmatched services in the domestic sector. We make certain that our effectiveness does not get hindered due to any type of divergence. No matter what, our most important concern has always been to deliver your car in its perfect condition. To make this certain, we have rooted our car carriers with all kind of safety measures like wheel stoppers, safety belts, locks and safety chains. The complete transportation service is executed when you avail the entire moving package where you can leave everything on our hands. It is our responsibility to take care of your valuable goods throughout the journey. Service We Provide household, corporate, industrial etc. The warehousing facility consists of multiple loading docks which are provided with plentiful space for placing the materials at the time of receiving and transporting. We are familiar with the safety of the freights while forwarding them to a different destination. 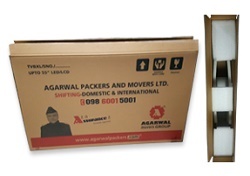 The ODC division of Agarwal Packers and Movers Ltd. is well outfitted for carrying over dimensional, heavy and cumbersome cargo. Due to our professionalism, experience and tremendous knowledge which we have attained over these past few years. Every business creates documents and records that form the bulk of the base information, which is referred in a variety of degrees for a number of reasons. These records are collected and stored in due course for the future references. APML offers safe and hygienic facilities. We bestow our customers with Roof Tech and Infrastructure Services for many useful fields such as agricultural, commercial as well as for many industrial groups like godowns, warehouses and large sheds. Services are for defense, animal shelters, banquet, swimming pools, garages, etc. Being a section of APM Infrastructure (P) Ltd., APM Air Cargo Terminal services has ventured into a slot and potential segment, and has been received an agreement by the world leader in Cargo Management Celebi International at IGIA, where exports are over range of 20,000 tons per month. 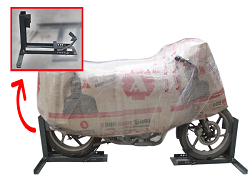 We, Agarwal Packers and Movers Ltd. has ventured into different angles under the logistics field that is transportation and warehousing, which has helped us to initiate the supply chain management service. As the pioneer in the field of supply chain management and third party logistics. We have introduced specially-made card board LED/LCD boxes. We present our innovative concept of housing your delicate goods. The whole job of packing, loading, unloading, unpacking and placing of all the items were done very professionally to our full satisfaction. During the entire period, your executive was constantly in touch with me and offered excellent service to ensure that all the goods are delivered properly and in time. 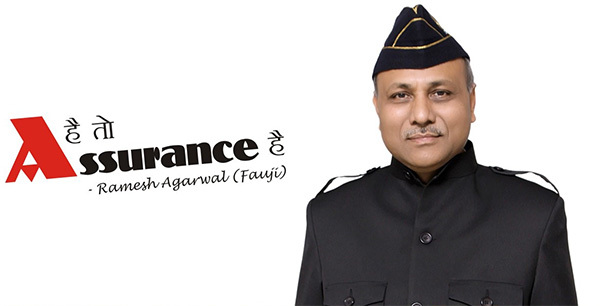 This is to certify that our Company engages M/s Agarwal Packers & Movers Ltd for shifting and movement of households and car of our executives from various locations across India as and when they get transferred from one location to another. We have been engaging them over a decade and we found their service satisfactory. 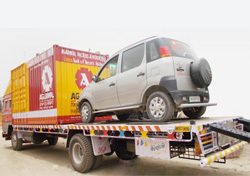 I am very proud to write about Agarwal Packers and Movers Ltd. Your persons during the time of packing and unpacking took at most care of my goods. I particularly appreciate the care and professionalism with which all the items were shifted. The staff was cooperative and polite. This is to certify that Agarwal packers and Movers Ltd have moved my household luggage from Secunderabad to Chennai. They have done an excellent job in packing, loading, moving, unloading and unpacking the household items. The total relocation was done in the most professional way from the planning to the execution stage. This is to place on record deep appreciation for door to door moving support provided by M/S Agarwal Packers & Movers Ltd. for excellent services of all Honorable Judges whose shifting has taken place till date. We are happy to associate with such agency to provide tension free services. Copyright @ 2017 Agarwal Packers & Movers Ltd.